The new iPad mini with Retina Display ships within 24 hours from the Apple Store. Now that Christmas is over, Apple managed to produce enough iPad mini with Retina Display to fill the demand. The iPad mini with Retina Display got top reviews as it combines a compact form factor with very high performance. The iPad mini with Retina Display is a no compromise tablet. The iPad Air as basically the same power as the iPad mini with Retina Display. 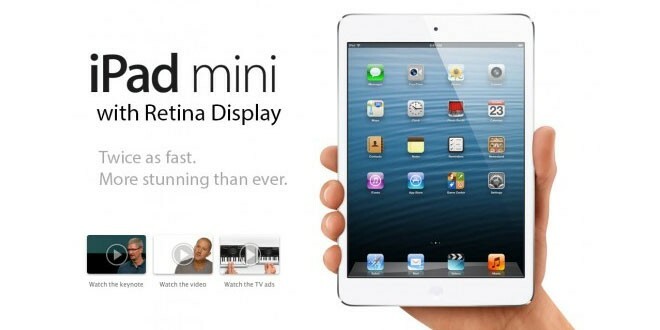 Expect soon an iPad mini with Retina Display Commercial, like Apple did for the iPad Air. The iPad mini with Retina Display starts at $399 and is available in Space Grey and Silver. Largest Known Structure in the Universe Discovered!